Below we list some of the educational resources the District has available. Most programs can be tailored to many different grade levels. We would love to come do a program with your class or group, please call us at 765-2629 to discuss the possibilities or complete our Education Visit Request Form. If you have a different topic in mind we can work together to develop a lesson on that topic. 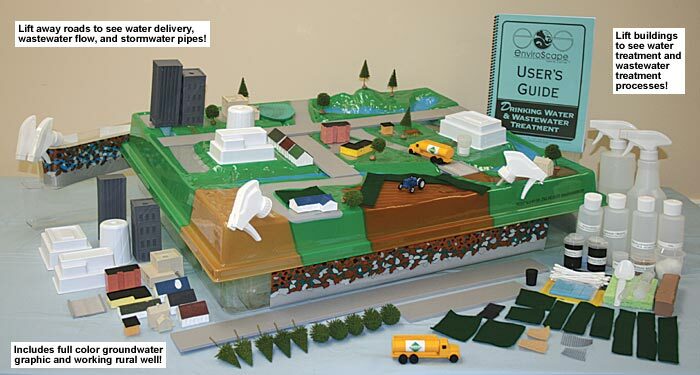 The 3D EnviroScape Drinking Water/Wastewater model traces the path of the water we use in our communities. Real water is drawn from the river and enters the water treatment plant processes -- clean water is delivered for residential and commercial uses -- wastewater is sent for treatment -- treated water is returned to the river. Even a section on biosolids, septic tanks and stormwater. You can choose to focus on one of these areas or do all three demonstrations. This teaching model communicates to all ages (children to adults)! 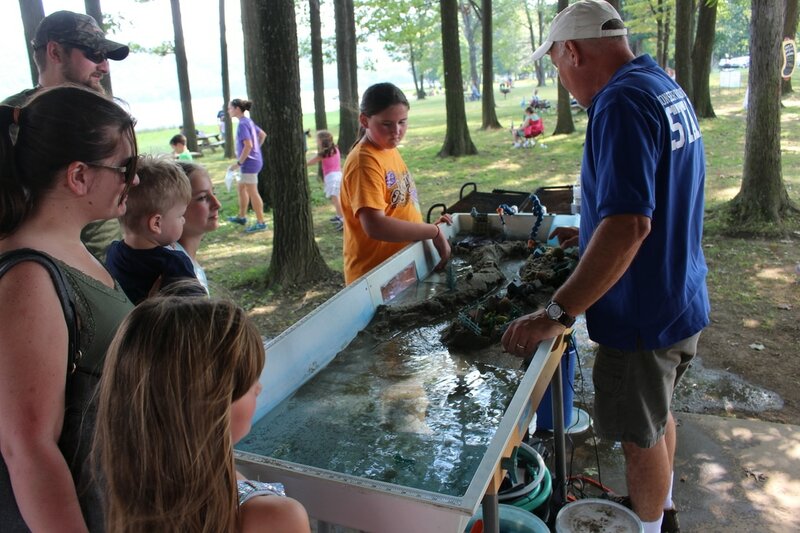 The stream table is ideal for the study of geological processes and the changes they effect. Erosion problems and solutions can be easily demonstrated and discussed. Comparisons between natural and developed areas are easy to make. This provides a great tool to help students visualize stream systems and see how human impacts can change that system. The Groundwater Model lets us explore what happens to water once it infiltrates our soil or is stored underground in wells or aquifers. This simulator shows groundwater flow and contamination in sand and gravel aquifers typical of valley fill and/or glacial-deposit geologic settings. 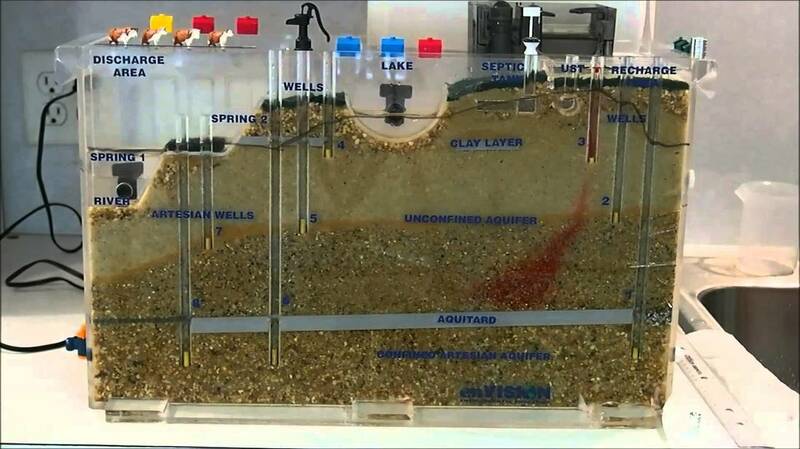 The simulator shows the interaction between wells in unconfined and semi-confined aquifers, including interaction between ground and surface waters. Wells are located at varying depths to simulate the various types of wells in use from a shallow homeowner well in an unconfined aquifer to a deep commercial well cased to a semi-confined aquifer. Contamination plume flow is accurately simulated showing how some wells can become contaminated while others not contaminated. 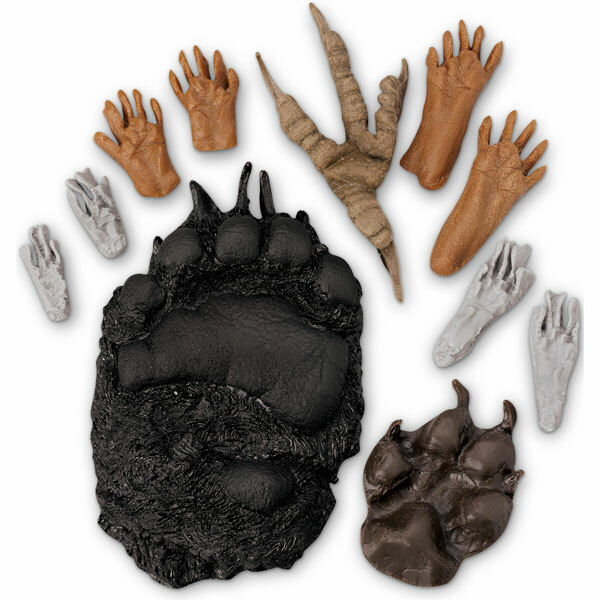 Rubber animal tracks to learn how to identify what critters are prowling your yard.